Your tooth is in peril if its innermost layer, the pulp, becomes infected and inflamed. Deep tooth decay, repeated dental procedures or fractures can all expose the pulp and ultimately the roots to infection and lead to tooth loss. 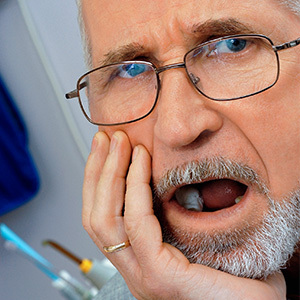 But that scenario isn't inevitable — we can often save the tooth with a root canal treatment. By accessing the tooth's interior through a prepared hole, we're able to clean out the infected tissue in the pulp chamber and root canals, and fill the empty space with a special filling. We then cap the tooth with a custom crown to protect it from a re-infection. Root canal treatments have a very high success rate — chances are good your tooth will survive for many years afterward. But there's a slight chance the tooth may become re-infected; in that case, a second root canal treatment may be in order. In a few cases, though, a second root canal may not be advisable, and could even accelerate damage to the tooth. For example, if past dental work resulted in an extensive crown restoration, accessing the root canals the conventional way will require disassembling that restoration. This could weaken the tooth significantly. We can approach the problem from a different route: instead of accessing the tooth's interior through the crown (the visible part of the tooth), we instead perform a surgical procedure called an apicoectomy, which accesses the tooth at the root end through the gums. In this procedure we numb the area with local anesthesia and then make a small incision through the gums at the level of the affected root. After access, we remove any diseased tissue around the root and a few millimeters of the root tip itself. We then insert a small filling in its place to seal the canal and prevent further infection. In some cases we may also insert a graft to encourage bone growth and aid in healing. Over time, the affected area will heal and return to normal function. Even if a traditional root canal treatment can't be used, an apicoectomy could be another option for saving your tooth.